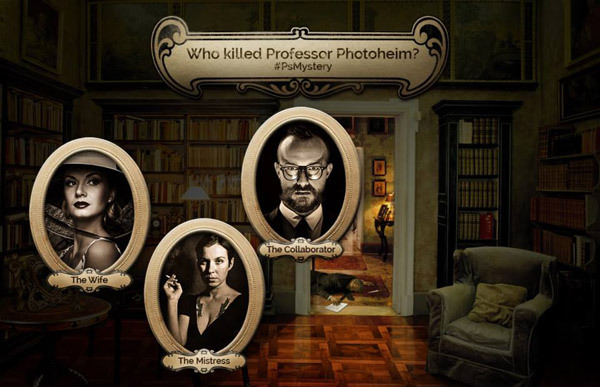 Professor Photoheim’s been murdered at his Halloween party. There are three suspects. To solve the crime you must say who did it, how he or she did it, and post a screen grab of your evidence to our Facebook page. Here’s your first—and largest—source of evidence: the PSD of the scene of the crime. Download the PSD from Creative Cloud or directly here. 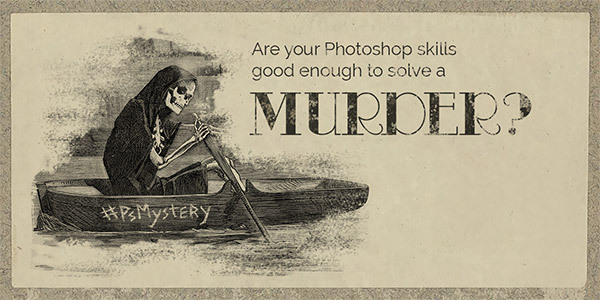 Wednesday at 10AM PST we’ll release more clues needed to solve the #PsMystery. More fun stuff is on its way, so stay tuned via Facebook and Twitter. This is awesome! It’s like those mystery puzzles, except you don’t lose a piece when the dog knocks over the table.